Take a fabulous luxury cruise, Mah Jong style, as you visit 12 exotic islands while collecting attractive keepsakes and quirky postcards! Or be footloose and fancy free, Island Hopping to any layout you choose! No matter how you tailor your island experience, it will be a luscious treat for your eyes! Tile layouts range from easy, to multi-layered monstrosities of 15 layers! 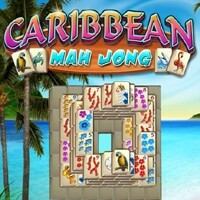 Breeze through them with powerups like Trade Winds and the Tile Focusing feature. Kick off your shoes and explore the islands today!